Wide tone and full on attack, the Exterminator from Mapex. 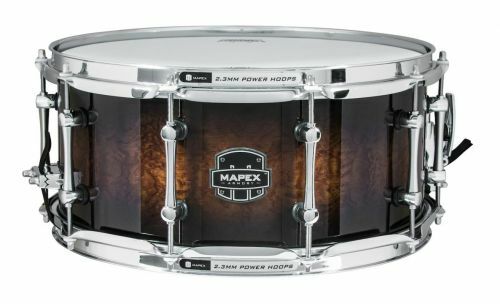 Part of the Armory series, this snare drum features a Birch and Walnut hybrid shell that produces a balanced blend of tones and sharp attach that will cut through any sonic opposition. Mapex's SONIClear Bearing Edge, featured on all Armory Series wood shell drum kits, allow the heads to sit flat, and drummers will find tuning effortless.